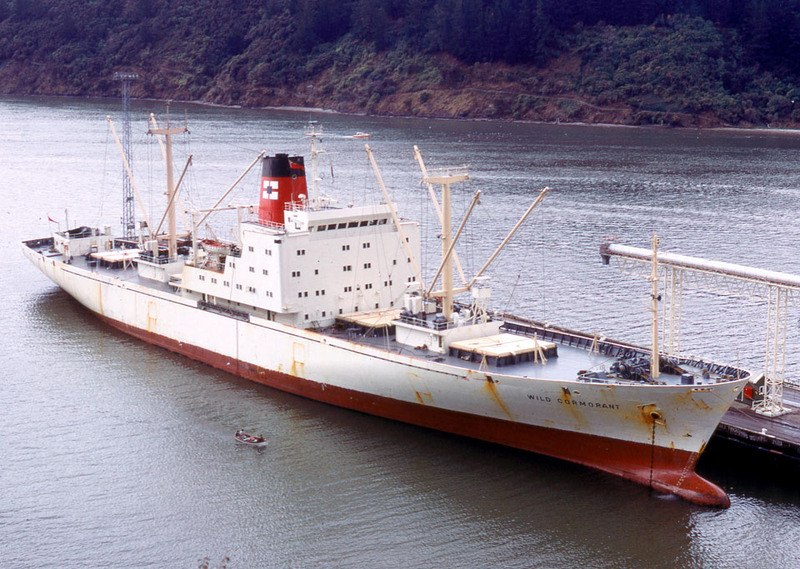 February 26th 1973: Delivered as WILD CORMORANT for Federal Steam Navigation Company Ltd (P&O General Cargo Division, managers). 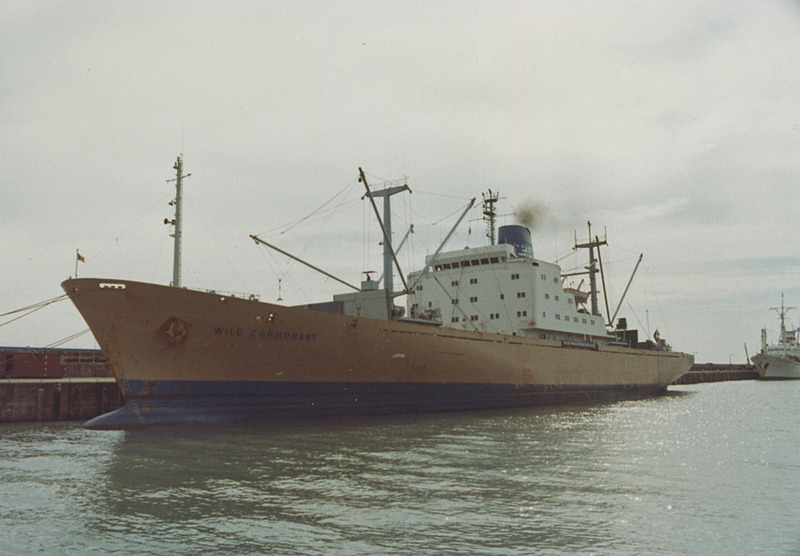 March 1981: Management transferred to P&O Deep Sea Cargo Division. 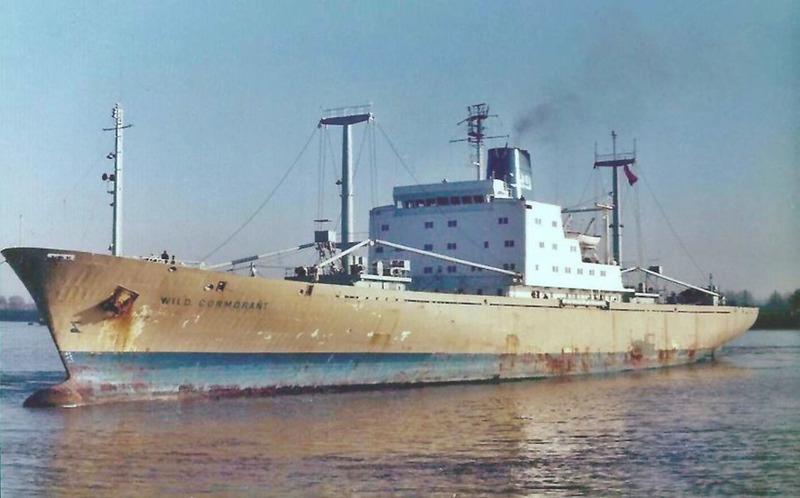 October 15th 1981: Sold to Leslie Shipping Corp, Monrovia (Comninos Brothers Shipping Co SA, Piraeus, managers) and renamed ATTIKA REEFER. 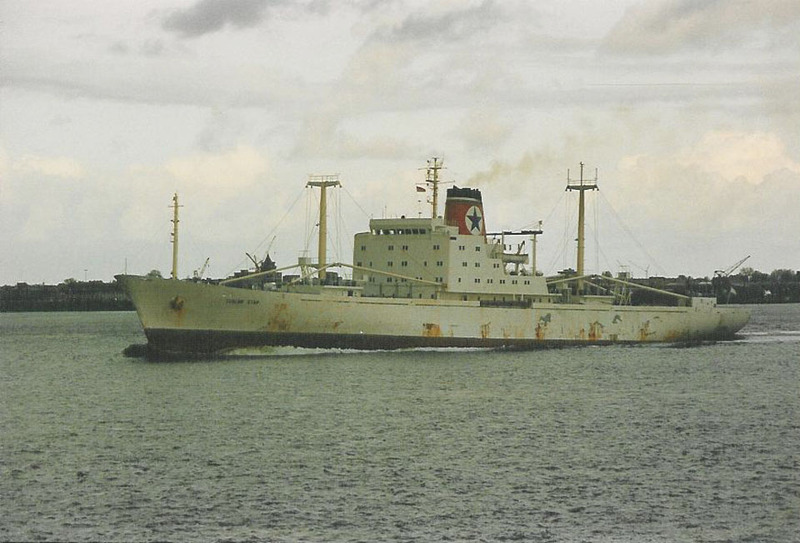 1984: Transferred to National Precedence Compania Naviera SA, Limassol. 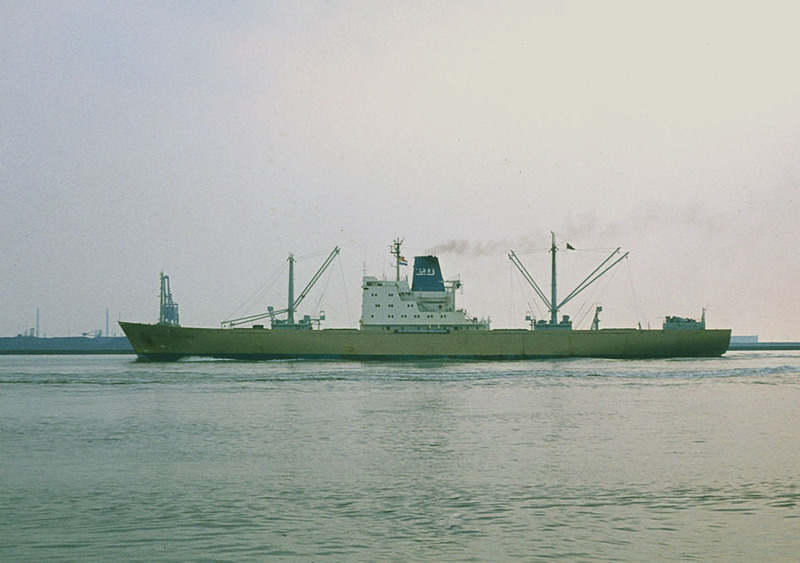 December 1985: Transferred to Embira Navigation Co Ltd, Limassol, and renamed SILVER REEFER. 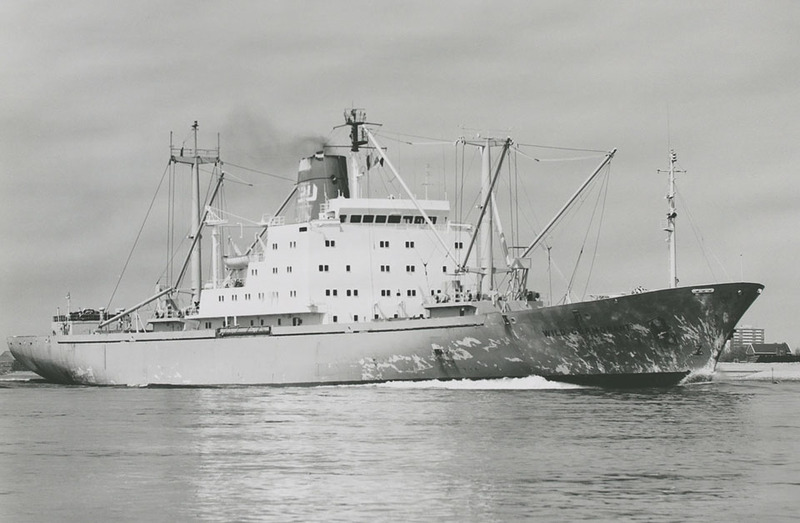 February 1988: Chartered to Bassro A/S, Oslo, and renamed BASSRO NORDIC. 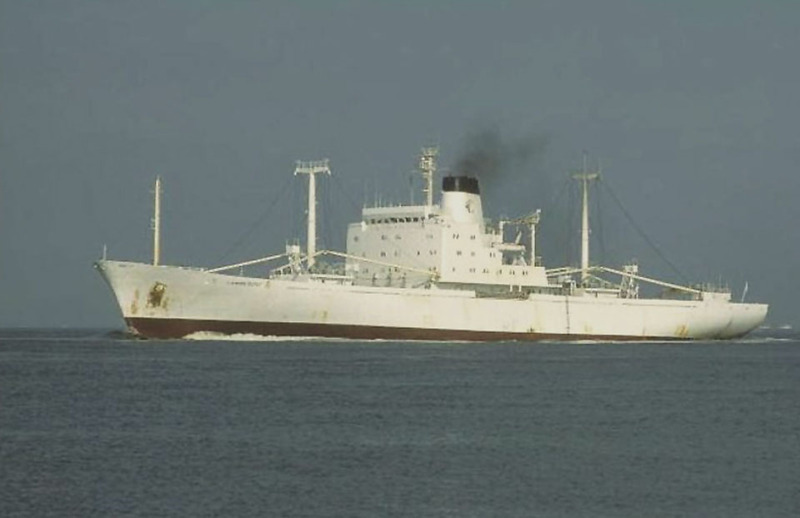 1988: Transferred to Norton Shipping Co Ltd, Limassol (International Reefer Services, managers) and renamed FLAMINGO REEFER. 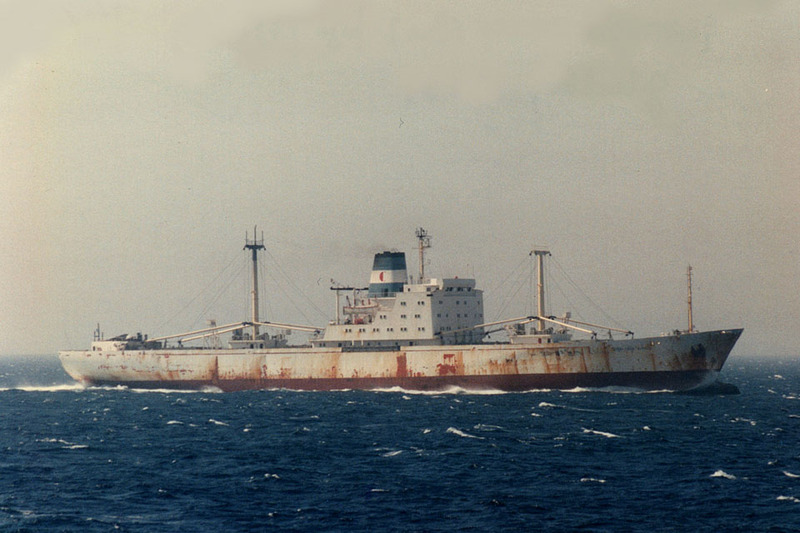 1988: Transferred to Number Shipping Co Ltd, Limassol. 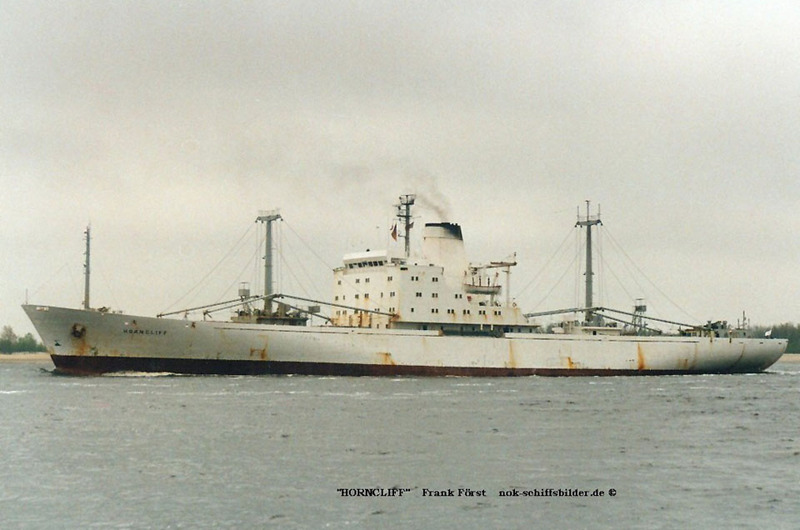 December 21st 1988: Renamed HORNCLIFF for charter to Horn Line, Hamburg. 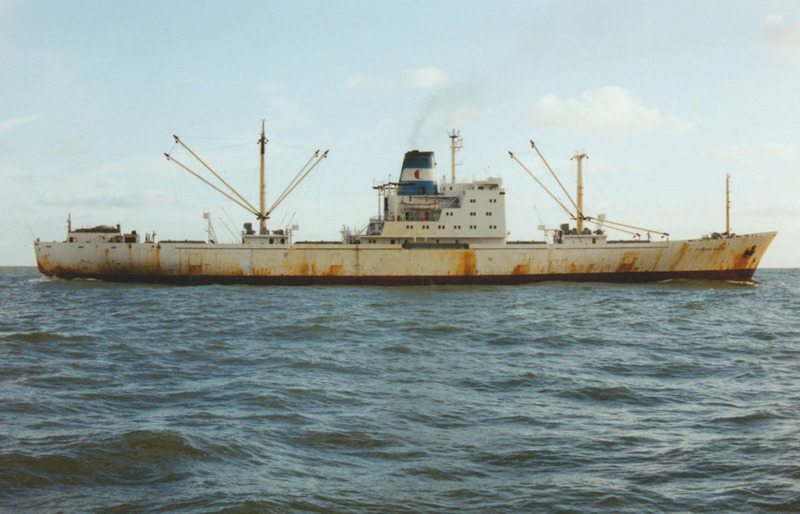 May 1990: Renamed FLAMINGO REEFER when charter ended. 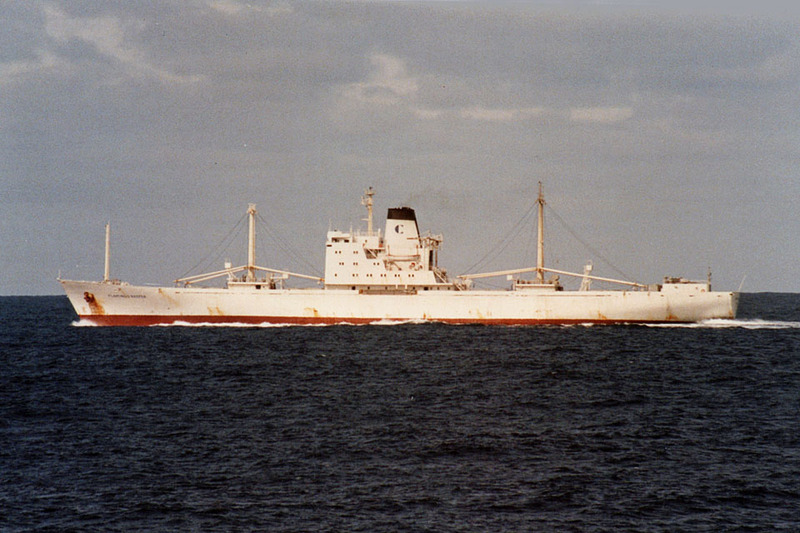 January 21st 1991: Renamed TUSCAN STAR for charter to Blue Star Line Ltd, London. 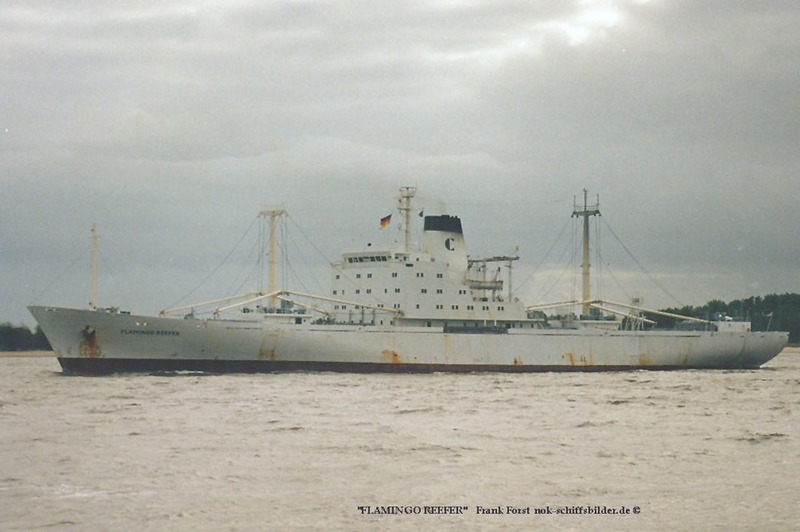 June 23rd 1992: Renamed FLAMINGO REEFER. Transferred to Ocean Shield SA, Panama. August 8th 1998: Broken up at Alang, India. All information is believed to be correct and no responsibility is accepted for any errors or omissions. All items included in this article are subject to © copyright. We would like to take this opportunity of thanking: Frank Först, Mike Griffiths, Chris Howell, Capt Jan Melchers, Fritz Olinga, Yvon Perchoc, Derek Sands and Gordon Wise for their assistance in producing this feature.